Essential oils help with various types of burns, be it sun burns, chemical burns or getting burnt by a stove. A burn injury occurs when your skin comes into contact with radiation, electricity, chemicals, flame or heat. The severity of a burn is classified in 3 degrees. 1st degree burns are easy to treat, and simple first aid methods can help. However, for the 2nd and 3rd degree burns, the cases are more serious and in some cases they could lead to death. For simple burns, you can try essential oils for burns. If the burn is serious, seek medical attention first. Once you get a burn, run cold water over the burnt area for a minimum of five minutes to cool it down. You can then proceed to use the following essential oils for burns to treat and soothe the burn. Mix 10ml (one tablespoon) of Aloe Vera gel with 3 drops of peppermint and apply to the burn. 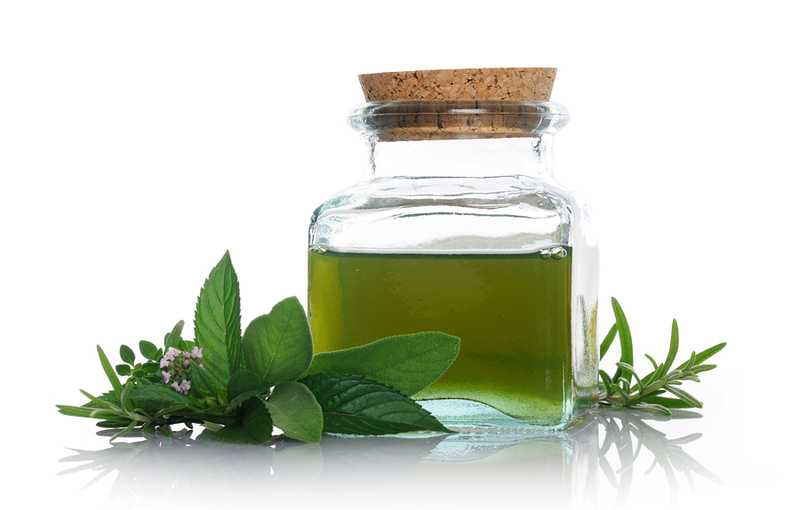 Add 30 drops of peppermint oil to a 100ml bottle full of water. Place an atomizer spray on the bottle shake and spray on the burnt areas. This suitable for large areas of sun burn. Dilute the lavender oil and apply it using the same methods of application as mentioned in peppermint oil above. Lavender can be used for a couple of days with Aloe Vera which contains its own healing properties. You can also add 1 or 2 drops of tea tree oil to the mixture. Mostly, a blister will not form and the antibacterial properties of the oils will prevent any infection. During an emergency, you can use undiluted essential oils for burns. However, they are hot in nature and thus it is wiser to dilute them before use. When you are using essential oils on babies and young children, be sure to dilute them well. Pure lavender water sprayed on a baby offers relief. Roman Chamomile is a wonderful essential oil for burns. With its anti-inflammatory properties, it is able to soothe the pain and enable healing. It also has antiseptic properties that prevent any infections. Helichrysum contains anti-inflammatory properties that foster regeneration of cells, manages pain and prevents scarring. It works best on fresh scars, but also soothes older scars. Neroli works wonders for scars from a burn. It is capable of wiping out both old and fresh scars. To heal a scar, mix 1 ounce of rosehip seed oil with 10 drops of neroli essential oil. Apply the mixture 2 times a day. Apply for as long as it takes for the scar to fade away. Calendula essential oil has great anti-inflammatory properties that reduce the puffiness and redness of a burn. It also fosters growth of new tissues and cells. This improves the healing process. When you use this essential oil during the healing of a burn, it will also prevent a scar from forming. It is available as an extract or “herbal oil”. Tea Tree Oil is a great remedy for treating painful burns. It is very efficient as it work well on a variety of skin issues. Not only does tea tree oil get rid of the pain and improve the healing process, it also has antiseptic, antibacterial and antifungal properties making it the best way to avoid getting any infections during the healing process. Manuka Essential Oil is one of the essential oils for burns that contain skin healing and antiseptic qualities. You can also use manuka honey that contains wound and burn healing qualities. For simple heat or steam burns, run cold water on the burnt area for several minutes. Apply a few drops of essential oil mixed with a kind of carrier oil –like sunflower oil or sweet almond oil– directly to the burn. If you want a soothing gel, add 10 drops of essential oils for burns in aloe Vera (1/2 cup) and apply hourly until you start to heal. If you want a soothing cold compress, dip a cloth in cold water and squeeze out the excess water. Add a few drops of essential oil to the cloth and place directly on the burnt area. Avoid extremely cold water as it may damage your fragile skin. If the burn has covered a large area, like sunburn, make a healing mist. 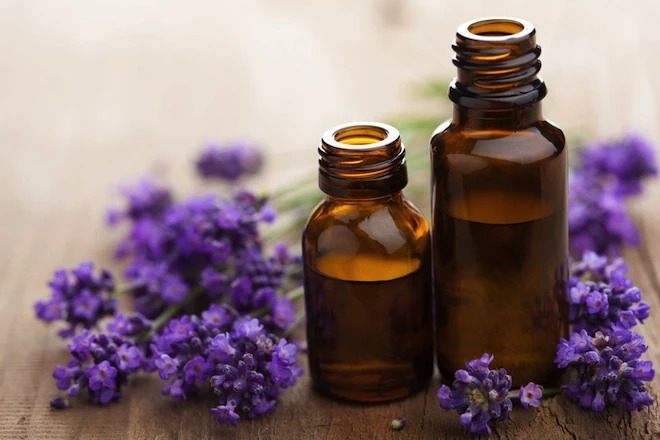 If you are treating sunburn, add 8 drops of lavender, 2 drops of Roman chamomile and 1 drop of peppermint to a tub filled with water and soak for 20 minutes.